It’s Tuesday evening, around 36 hours before voting begins in the 2017 general election. Someone has just rung the buzzer of my house. Rather than answer the intercom and listen to dead air, I leg it down the path to the gate. If it’s kids messing about (again), I want to catch them, if not in the act, then at least shortly afterwards. It’s not kids or drunks or ASOS drivers, and of course it isn’t friends. I look left and right, and the only person in the vicinity is a middle aged man, and I shout ‘hello!’ to him as he rounds the next corner. He turns briefly to look at me before disappearing out of sight. I open the gate and run after him. In my slippers. As I turn the corner he’s there with two other people, a woman and another man. I can tell from their badges and stickers that they are canvassing for the LibDems. Shame. I was hoping for God-botherers or Tories. “No, you rang the buzzer then ran away, like a child.” His colleagues snigger at this. I instantly feel slightly ashamed. 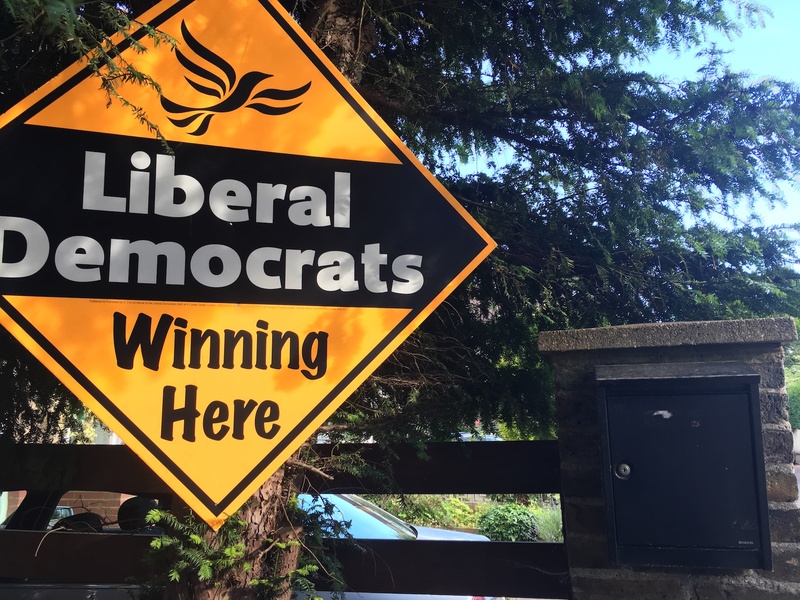 I smile and walk back to my house, past the intercom button, past the huge and unmissable Liberal Democrats poster that’s right next to it, and wonder briefly whether I’m supporting the right party*. *I am, of course. I live in Richmond Park. The only other viable candidate is that shameless opportunist Zac Goldsmith. Labour has zero chance here.